One of the goals that I set for myself this year was to read more often - and because that isn't detailed enough, I told myself that it would be at least two books per month. My literary comfort zone generally lies with old English literature - literature penned by the Bronte sisters, Jane Austen, Lewis Carroll, and so on. I also greatly appreciate post-Civil War American literature as well - in fact, I remember fondly one of the Lit courses I took back in college studying just that. And, if you can believe, I still have those text books. Okay, yes, I'll admit to being a little bit of a nerd there. No shame! 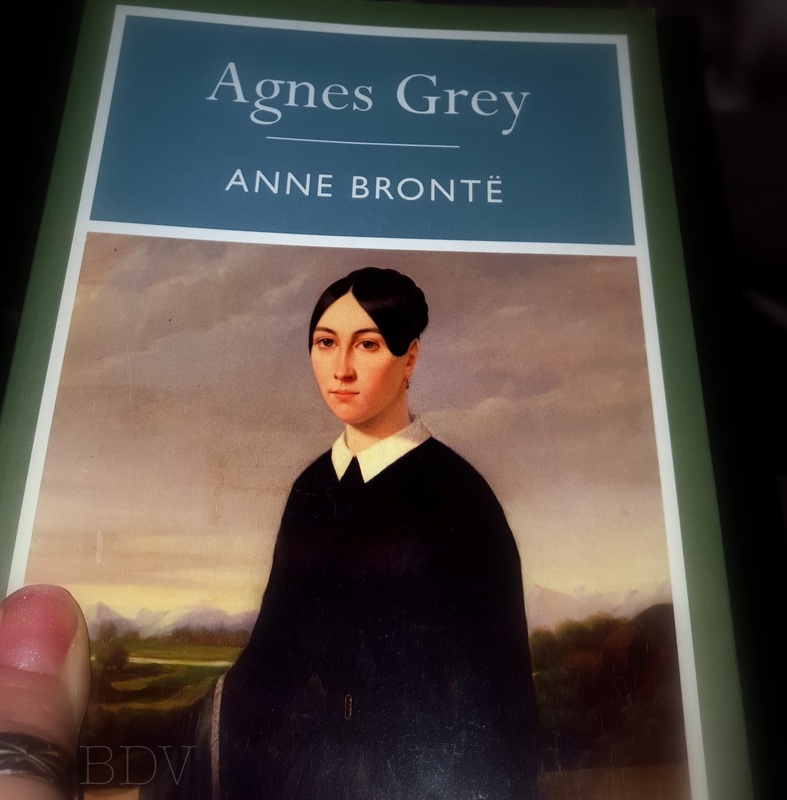 The first book of 2016 is Anne Bronte's Agnes Grey, a story about a young educated woman who paves her way through society as a governess. I'm only on Chapter 3 now, but so far I find it enjoyable. It reminds me of the summer several years ago where I was a nanny for a young girl, thankfully without the sadistic tendencies described as the traits one of Agnes' pupils. It was an interesting summer of little adventures to the beach, singing Disney princess songs, and reading stories, and watching movies. It's amazing to me how you can read someone else's words and be taken to a world long ago and relive the adventure through your own interpretation. For me, it's reliving memories. A lover of both Charlotte and Emily Bronte's classics, Jane Eyre and Wuthering Heights, I decided to give Anne some attention too. I found her novel at Half Priced Books a few weeks ago (on sale) and was excited to add another edition to my library/collection. What kind of books have you resolved to read this year? Hopefully some good ones. Leave me some suggestions of any books you think I should read.